We strive for academic excellence while balancing fun & continued growth. Since 2001, we have proudly inspired and mentored over 580 students in music. We offer opportunities for students to experience the enjoyment of music through creative means.  Partita Music Studio offers private lessons for ages 3 to adult with lessons tailored to the specific goals for each student. A focus on the technical foundation to each instrument, along with training of the ear and reading skills, are part of the lesson structures. September registration now open!